MuseCon is a weekend-long convention for artists, musicians, inventors, gadgeteers, makers, tinkerers, and creative people of all ages. To get started, you will need to register for the convention. Please see the Registration page for details. Here is a printable version of the grid. Here is an electronic version of the program book. Thank you for joining us, and taking the time to help us improve! It's construction season in the Chicagoland area! The expansion work on the Elgin-OHare expressway is making a mess of traffic. It looks like there will be no access to Park Boulevard from Thorndale the weekend of MuseCon. This is normally the main entrance from the south to the hotel/business complex that the Westin is in. Take the exit for Biesterfield Rd., turn right (west), and proceed to Rohlwing Rd. (IL 53), which is the first light, and turn left (south). From there continue south to Devon Ave. 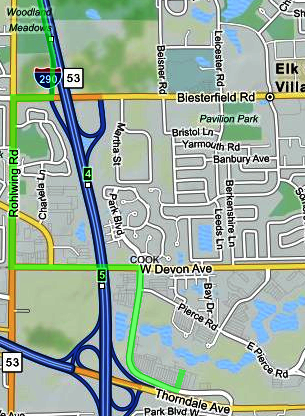 Turn left (east) on Devon, cross over the expressway, then turn right (south) on Park Blvd., and follow park Blvd. to the hotel. 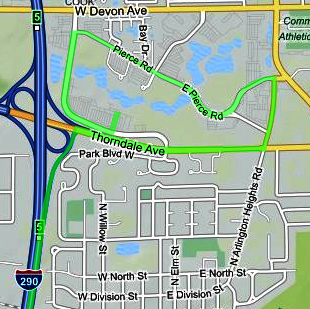 Take the Thorndale exit, turn right (east), and proceed to Arlington Heights Rd., which is the next light east of Park Blvd. on Thorndale. Turn left (north) on Arlington Heights Rd. Take that to Pierce Rd., which is a 'T' intersection where you can't go any further north. Turn left (west) on Pierce and take that to Park Blvd. Turn left (south) on Park, follow that to the hotel. What Can You Learn at MuseCon? Check out our Programming page to see what�s going on at this year�s con and sign up for workshops. What Else Can You Do at MuseCon? Stay with Us at the Westin! Don't want to miss any of the fun or deal with traffic every day? Join us and stay at the Westin Chicago Northwest, in Itasca, Illinois. Reserve your hotel room early, and don't forget to request the special MuseCon room rate. See the Hotel page for more information. Br. 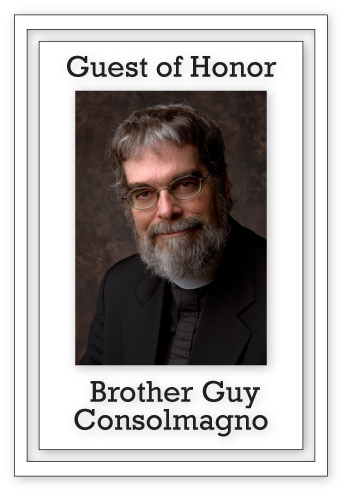 Guy Consolmagno SJ was born in 1952 in Detroit, Michigan. He obtained his Bachelor of Science in 1974 and Master of Science in 1975 in Earth and Planetary Sciences from the Massachusetts Institute of Technology, and his PhD in Planetary Science from the University of Arizona in 1978. He has coauthored five astronomy books: Turn Left at Orion (with Dan M. Davis; Cambridge University Press, 1989); Worlds Apart (with Martha W. Schaefer; Prentice Hall, 1993); The Way to the Dwelling of Light (U of Notre Dame Press, 1998); Brother Astronomer (McGraw Hill, 2000); and God's Mechanics (Jossey-Bass, 2007). He also edited The Heavens Proclaim (Vatican Observatory Publications, 2009). Br. Consolmagno is President of the Vatican Observatory Foundation. His research explores the connections between meteorites and asteroids, and the origin and evolution of small bodies in the solar system. He recently won the Carl Sagan Medal.